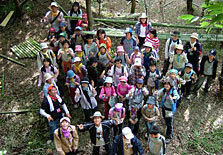 Natural Disaster Youth Summit 2005 in Hyogo was a big success! This year is the tenth anniversary of Hanshin-Awaji Great Earthquake. And also we have had many natural disasters, such as tsunami, flood, earthquake and so on. One of the aims of this conference is conclusion of the project that we started from last September. Students will have presentations that they prepared in their schools. We want students to know more about natural disasters, think how to reduce damages of natural disasters. Moreover we wants students how to help people who suffer from them. 30 students from 11 countries and regions will come to the conference. It is good opportunity to live together. Size 470 people ( 70 adults, 400 students ) from Japan. As explained in Section 2, it is hoped that Natural Disaster Youth Summit 2005 Project can be concluded by gathering together representatives of the participating youth who would report the results of team discussions and then all together compile and adopt the Natural Disaster Youth Summit Declaration. Friendship Par Company ：　Acty International/ ECC Foreign Language Institute / EZAKI GLICO Co.
SUNTORY / Suzuki Educational Software Co./ Suzuki Musical Inst.MFG. Co.
Let’s build a Park with friends from all over the world TOGETHER! What we can do for the people who live in the TSUNAMI affected areas? for 5 to 8 minutes and repeat it by the request of audience. on your poster booth and make clear when you will start next presentation. 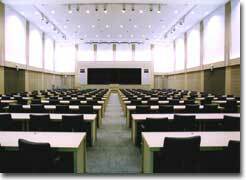 Those who make a presentation by the computer on the stage goes to the main hall when they are invited to the stage.5 to 8 minutes presentation on the stage. 'Sakura Bear, Formosa, Omid, Glasha and other Mascots travels around the world'. All participated school students and teachers come up to the stage and tell what those little ambassadors have done and tell your impressions briefly. Video conference with Yanagi Elementary School in Nagoya. Project participant school students and teachers will be on the stage. Sing song 'Sakura Sakura' together.